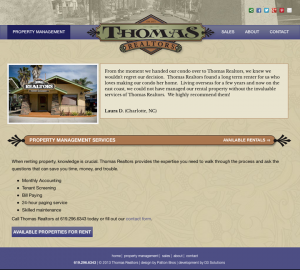 D3 Solutions created a custom content management system for Thomas Realtors over 5 years ago utilizing the design of Patton Bros. Thomas Realtors agreed it was time to update their website to the more powerful engine Wordpress offered. Along with the backend revitalization, D3 Solutions sought to modernize their website by expanding the overall width of the site, enlarging the menu and buttons and adding new features such as google maps for rental properties and an online rental application form. 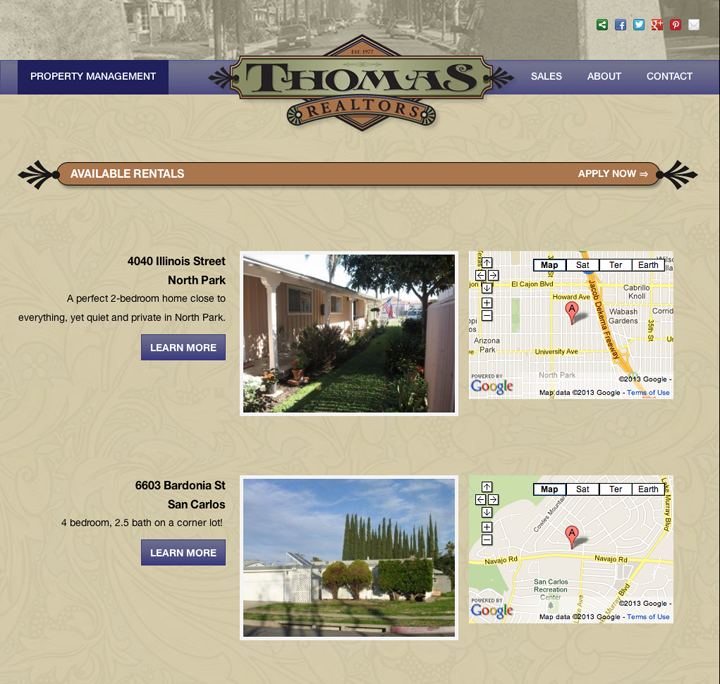 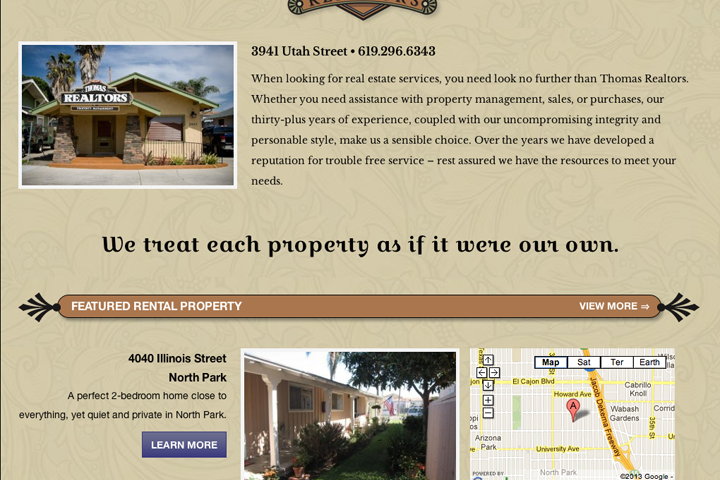 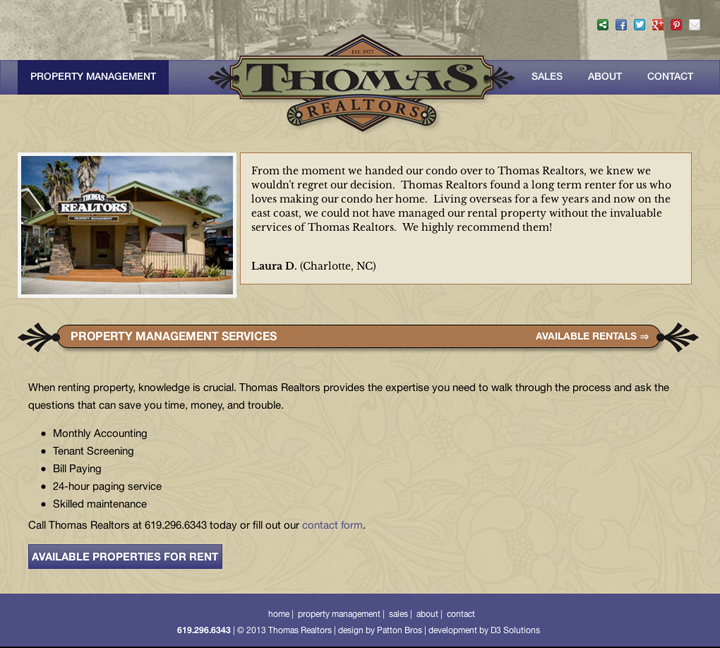 The result is stunning and Thomas Realtors is very happy with how easy it is to add property rentals to the site. 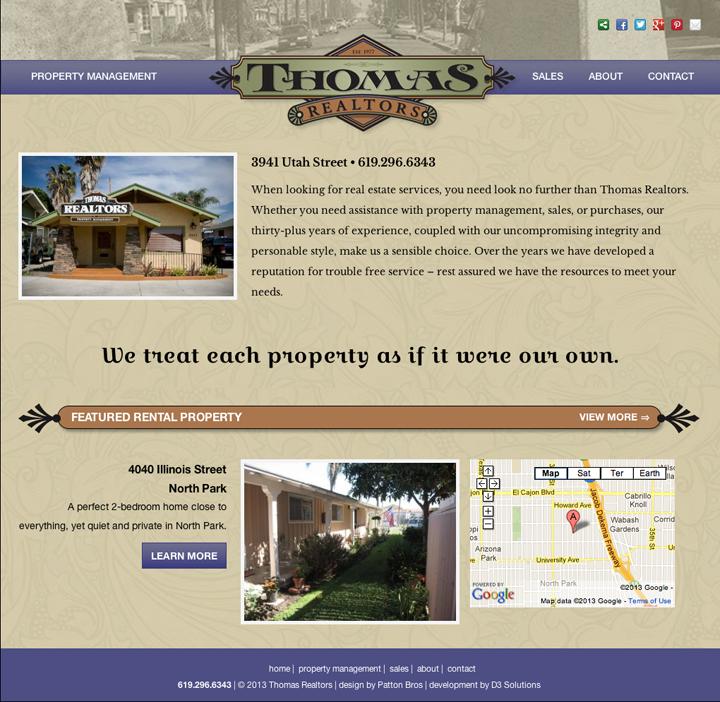 Their new site also offers many SEO features to help potential clients find their business--something their old site couldn't do. 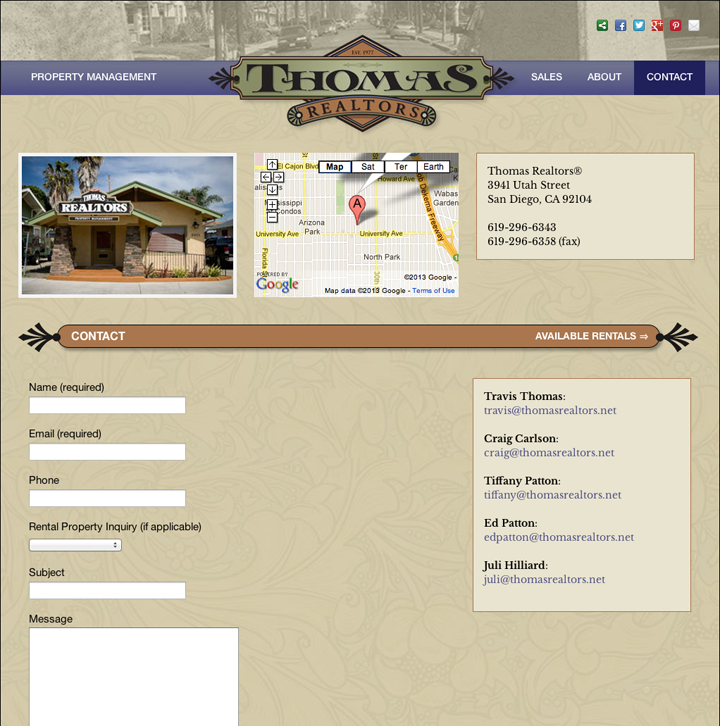 Thomas Realtors has been a satisfied customer of D3 Solutions for over 7 years now and we're looking forward to many more years serving this amazing client.